Small roles – sometimes even the minuscule ones – have often been scene stealers in films that are filled with superstars. You might not even be aware of the actors’ real names but their performances will certainly entrench a mark in your mind. Here goes the list of 2017’s finest female actors in supporting roles. That grace! Moreover, this isn’t a very easy part to pull off with conviction. Although she is in the elite company of Naseeruddin Shah, Leela Samson’s Alzheimer’s stricken Charu has to react to two absolute non-actors who play the leads in OK Jaanu. Nevertheless, the actor emotes with great beauty and adds the same colour and magic that she had brought in the original, OK Kanmani. And oh, I did miss the magic of ‘Malargal Kaetten’. No one else but the filmmaker is to be blamed here. “Bublaaaaaaa…” Yelled Aparajita Auddy and we could sense the affection and concern that she had for her only son Abhimanyu (Ayushmann Khurrana). Even in generic scenes where she is serving snacks to her loud relatives with a reluctant wink at Bubla, we get own mothers’ images reflecting on her face. Malko’s isn’t the high octane emotional role that Anjali Patil usually excels at. An educated dalit woman in Chhatisgarh, her part doesn’t flaunt too many variations either. As someone who grew up ‘dealing with’ discrimination, Patil internalizes Malko’s practical vigour and shines brightly in a film filled with competent male actors. Poorna couldn’t have literally been on top of the world, if not for her sister and vigilante, Priya. Persuasive and enthusiastic, we see Priya’s wings being clipped off right when she was about to soar. In a soulful, spontaneous and deeply felt performance, S. Mariya makes a smashing screen debut. Kudos to Rahul Bose and the casting team for a fine discovery that the young actor is. Come to think of it, Tillotama Shome plays more of a template character from the dysfunctional family drama genre. A little hysterical and a wee bit selfish somewhere, Bonnie is someone whom we would meet in many families. She is someone who is an anchor at home and can also be empathetic to the needs of others. Shome reflects great maturity in understanding the nuances and delivers a restrained yet effective performance. My favourite portion has to be the one where she prepares fish with Kalki Koechlin besides some priceless reactions around the finale. Probably a surprise here, it was Mehreen Pirzada’s effervescence and supremely confident acting chops that impressed me the most in Phillauri. And that is not the only reason why she decorates a top slot on this list. Pirzada’s turn as the disconcerted young woman is easy to relate to and she lends lovely shades to a part that would otherwise have been a mere shelf character. Let’s hope to see more of this talented actor in Hindi cinema. Immediately after the success of Bareilly Ki Barfi, Seema Pahwa delivered another fantastic comic-emotional part in Shubh Mangal Saavdhan. Not only did she surpass her own benchmarks but also reminded the entire Hindi film fraternity that she is here to fill the lack of comediennes. Natural to the core, one can’t think of anyone but Pahwa when it comes to playing affectionate, small-town moms. One helluva talent, Trimala Adhikari’s spectacular turn as the wronged wife will move you to bits. An actor with zero traces of artifice, Adhikari’s tremendous chemistry with the camera is something that assures that she is here to stay. Do catch her magnificence in Payal Kapadia’s short film Afternoon Clouds that was screened at the 2017 edition of Cannes Film Festival and you would know what the statement means. 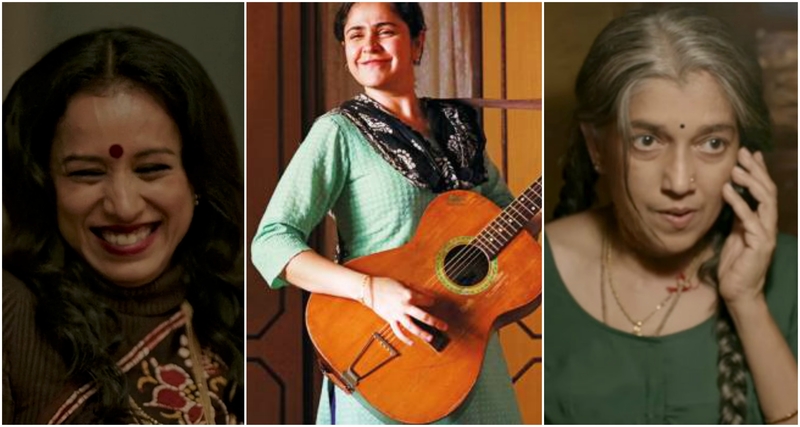 In an astounding performance, Meher Vij adds such shades to Secret Superstar that after a point it is her that we root for, more than even the film in entirety. We feel as if she deserves justice over the oppression she had suffered for ages. The finale, more or less, is a celebration of her independence. 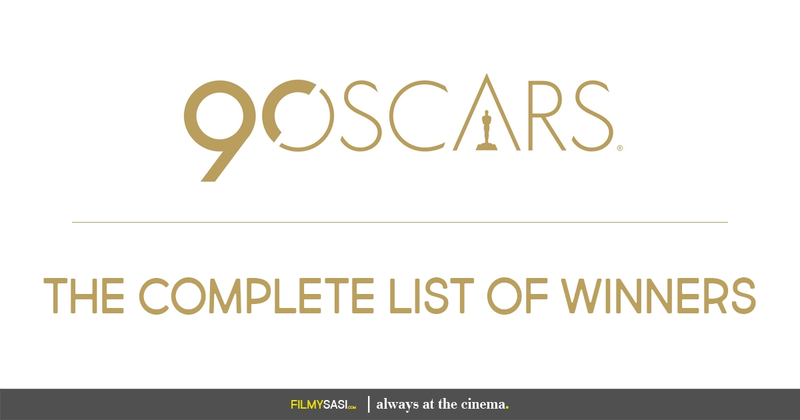 Even bigger than Insiya (Zaira Wasim) accomplishing her long-cherished dream. Kudos to director Advait Chandan for making this charming mother-daughter drama come alive balancing great tenderness and pathos. Procuring a top spot in the very same list for the second year in a row, Ratna Pathak Shah mesmerizes yet again. If she is competing with anyone, then it has to be with herself. In Lipstick Under My Burkha, the actor takes giant strides as far as elderly performers in Hindi cinema are concerned. Bold and volcanic in umpteen ways, Buaji from the film has to be the film’s finest female character and also one of the year’s best. More power to Ratnaji and let’s hope that she scores a hat-trick by owning a top slot in 2018.